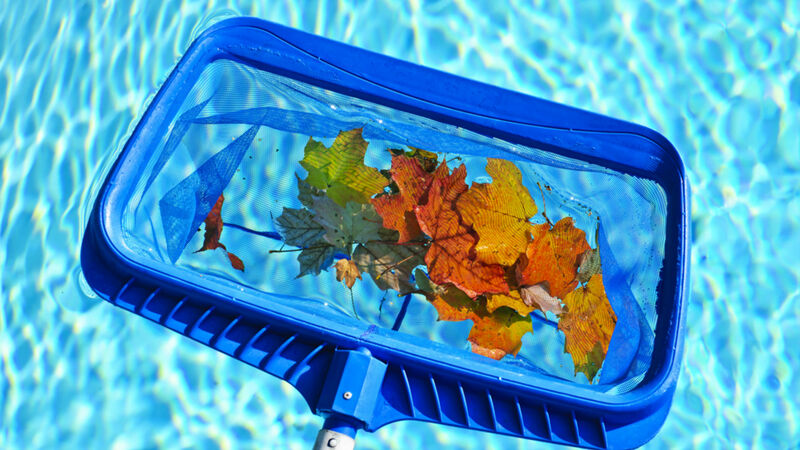 Of course we will handle everything needed chemistry and cleaning-wise for your pool, but when the leaves really start falling in droves there are a few things during the fall season you can do to keep your pool looking and working its best in between our visits. 1. Emptying your skimmer baskets. Leaves and pine needles will quickly fill up your skimmer baskets, slowing the flow of water to your pump. We empty these every week, but during particularly windy weeks, your baskets may need to be emptied almost every day. 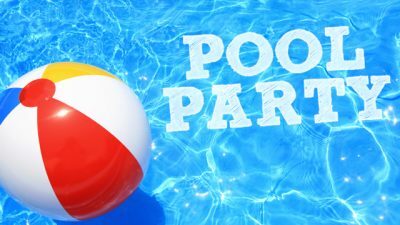 Without keeping an eye on these your water flow will be cut down dramatically, and in extreme cases could even burn up your pump if the water flow gets too restricted. But fortunately all of these issues can be prevented with just 1 minute a day of emptying your skimmer baskets. 2. Making sure the filter is clean. 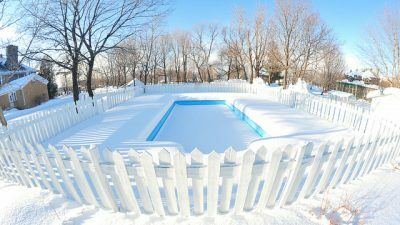 With everything falling into your pool this time of year, there is going to be plenty of dirt and organic material clogging up your filter. We keep an eye on the filter pressure and filter clean dates for all of our clients to be sure everything is being taken care of, and will reach out to you if the pressure indicates needing a filter clean. We’re happy to take care of them for you, or if you prefer to do them yourself that of course is fine as well. For DE filters, manufacturers recommend a clean at least twice a year, and for cartridge filters they recommend 3-4 times per year. 3. Keeping an eye on your water level. 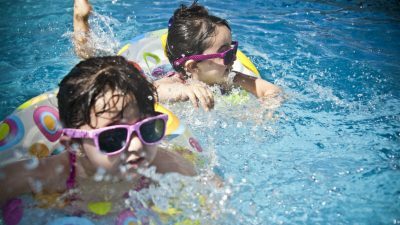 Spring and fall are both tricky times of year when it comes to pool water levels. It’s easy to remember to add water to your pool when it’s summer and 100 degrees outside, but when it drops into the 80s, it’s such a welcome cool that it’s easy to forget that water still evaporates quickly in direct sunlight. In the summer, 3-4” per week is about average of what you can expect to lose to evaporation, and during the fall it’s about 2-3” per week. We’ll always notify you if we find your water level low, but in addition to our trips it’s a good idea to check it at least once a week. 4. Checking your heater. 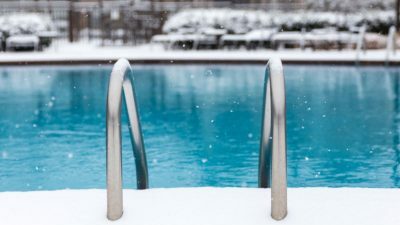 Unless you’re in the small percentage of people who use their pool or spa heater all throughout the summer, your heater has likely not been turned on for 6 months or more. This means when you’re ready for a nice night in the spa, it may or may not be working. Before it gets really cool it might be worth firing up your heater for 15-20 minutes. If it’s not working, give us a call so we can diagnose it. We want to be sure your heater is ready so you can enjoy your spa throughout the fall and winter and not be left waiting for a repair instead.